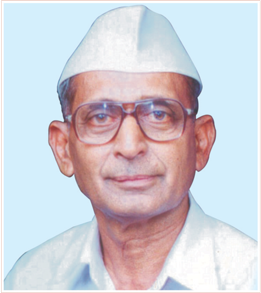 Shri.Appasaheb Baburao Magdum born in a farmers Family and from the early age participated in social work. As a social activist started his career from vikas society,gaon bhag-Ichalkaranji. Beside Social work, he started his political career from Ichalkaranji Nagarpalika as a Municipal Council Member and in the year 1998 accept the post of Vice President of Ichalkaranji Nagarpalika. During his period,he made strident / strenuous efforts for the development of the city. In the year 1996, with a view to establish a financial institute for financial aid he along with his companions founded Shri.Adinath Co-op.Bank on co-operative basis and selected as the founder chairman of the Bank. As a Founder Chairman of the Bank, he has put in his sincere efforts towards the excellent progress over a span of years.